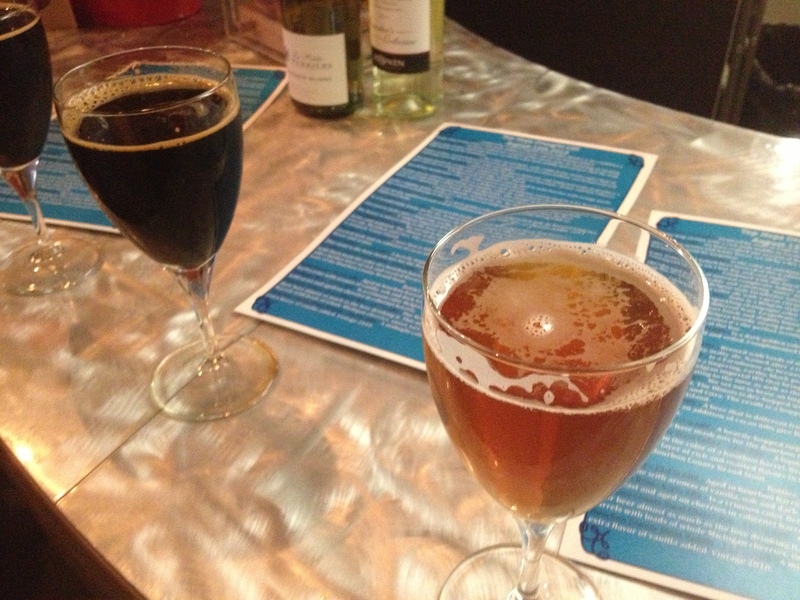 I started with a glass of Matilda Lambicus, a Belgian Pale Ale fermented with brettanomyces. The “Brett” yeast adds the sour funkiness that I’ve been enjoying a lot recently. It was brewed once ever, and is impossible to get. So much so, there are only two ratings of it on Beer Advocate. I really really loved this. If this beer was a girl, I’d ask it to marry me. If it was a boy, I’d ask it to gay marry me. 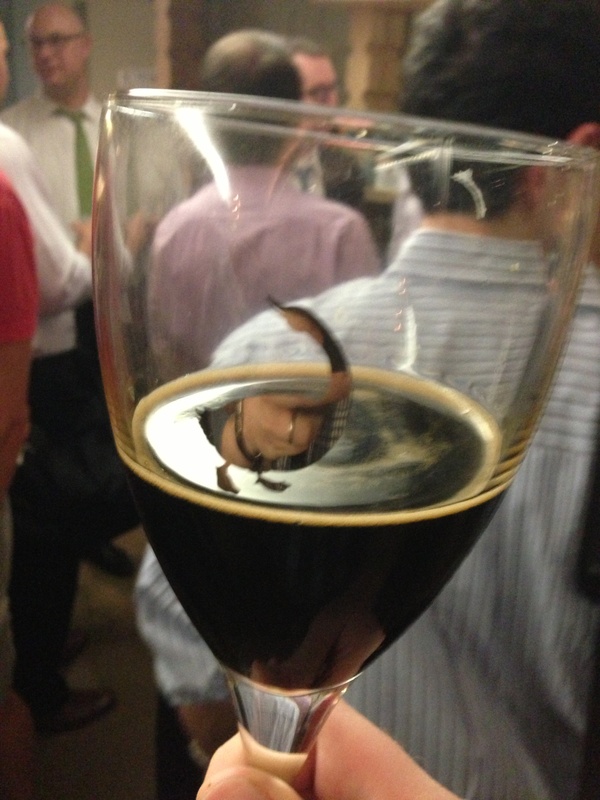 Next I got Pepe Nero, a saison made with black peppercorns that made it… black. It was good but I shouldn’t have gotten it, it’s available year round. My judgement might have been a bit impaired because of the amazing free tastings they were giving out in the back of the store. 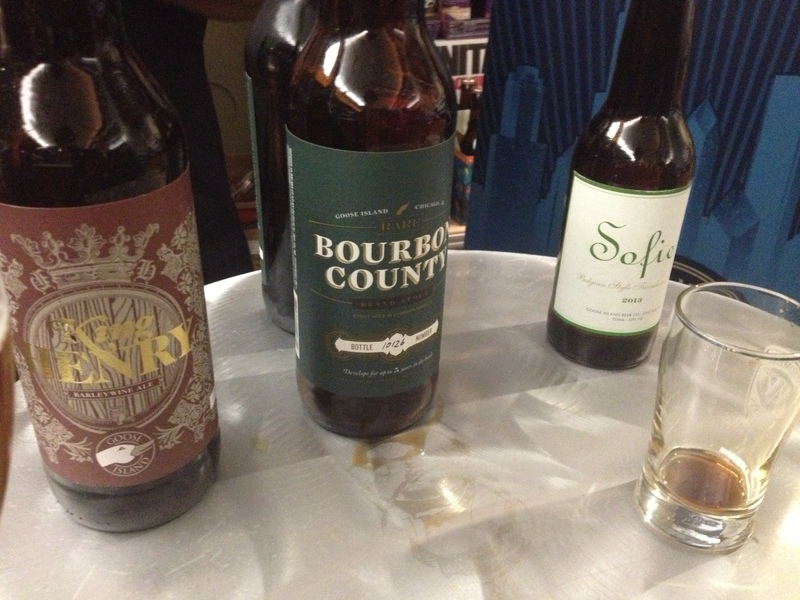 King Henry, Bourbon County Rare, and Sofie (can’t remember if it was regular Sofie or Sofie Paradisi). 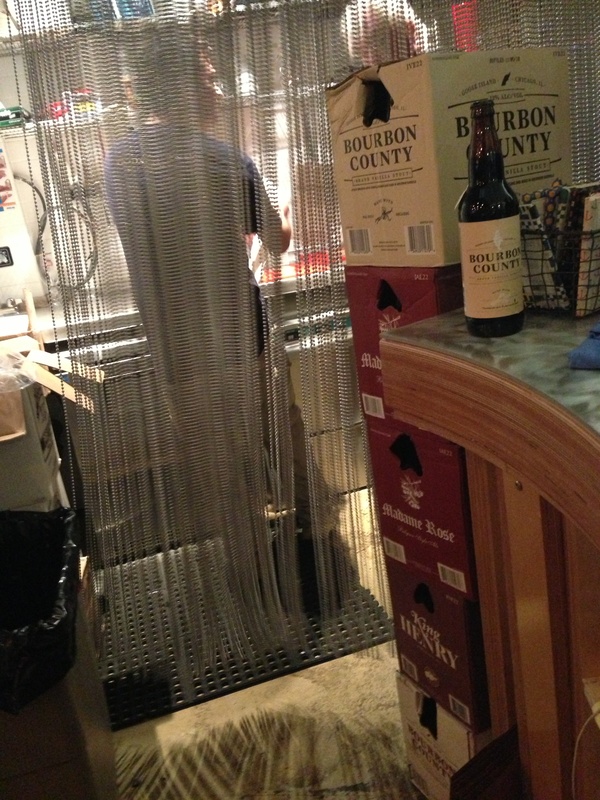 Bourbon County Rare is a stout aged 2 years in Pappy Van Winkle 23 Year barrels. King Henry is a barely wine that is then aged in the post Bourbon County Rare Pappy Van Winkle 23 Year barrels. Both are retired, impossible to buy, and two of the best beers I’ve ever tasted. These two were even more special for me because of Pappy Van Winkle. In addition to being a BrewBoyz, I’m also a BourbonBoyz, and am obsessed with all things Pappy Van Winkle. I’m lucky enough to have bottles of their 10 and 13 years. The 23 year (the oldest they go, and possibly the oldest Kentucky bourbon in the world), is very expensive and very rare. My local liquor store gets anywhere from 3-6 bottle of Pappy A YEAR (all ages, not just the 23). 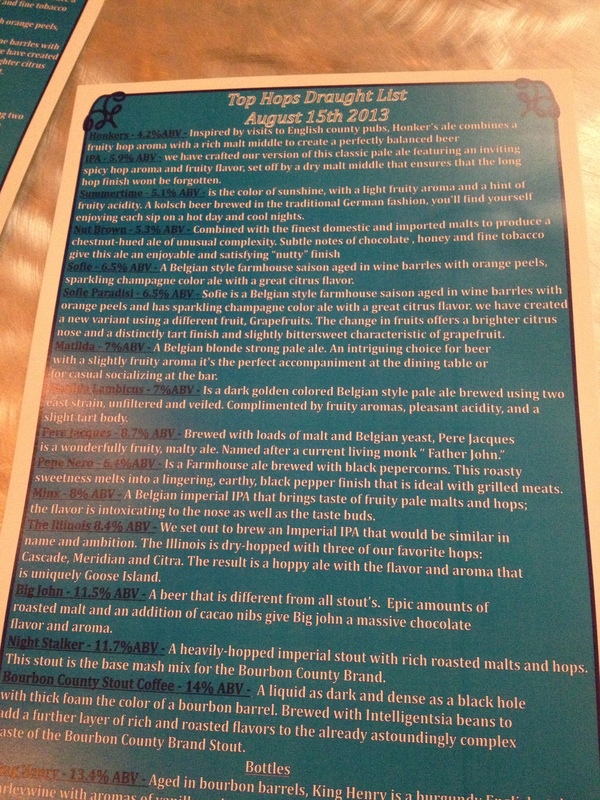 So I was obviously obsessed with these beers, so much that I pretty much hung out at the tasting table all night, and had somewhere between 10-400 tastings. At the end of the night, the owners of Top Hops held a raffle to win free bottles, and another to be able to buy bottles. And like true BrewBoyz, Andrew and I won BOTH raffles. Two of the six free bottles went to your BrewBoyz. I ended up with a free bottle of King Henry, and was able to buy a Madame Rose (v2010) . I will be aging both of these. 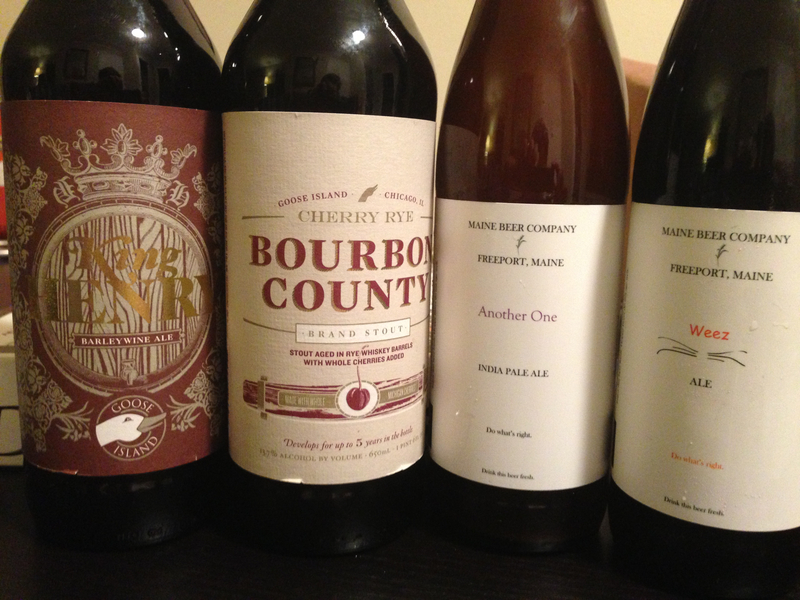 I also had to buy some new Maine Beer Company stuff.. their collaboration, and their two new beers, Another One and Weez. Both IPAs, they are only 9 days old, and am excited to try them this fresh. 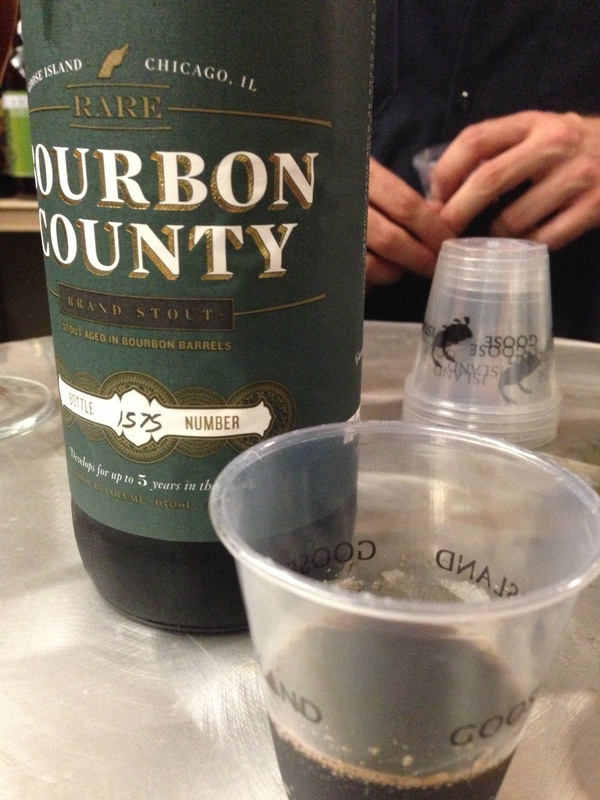 Bourbon County Rare transferred from dinky plastic cup to glass. That’s a lot of awesome beer! Gimme!